When I was about 4 years old a family friend gave me a bunch of old keys. 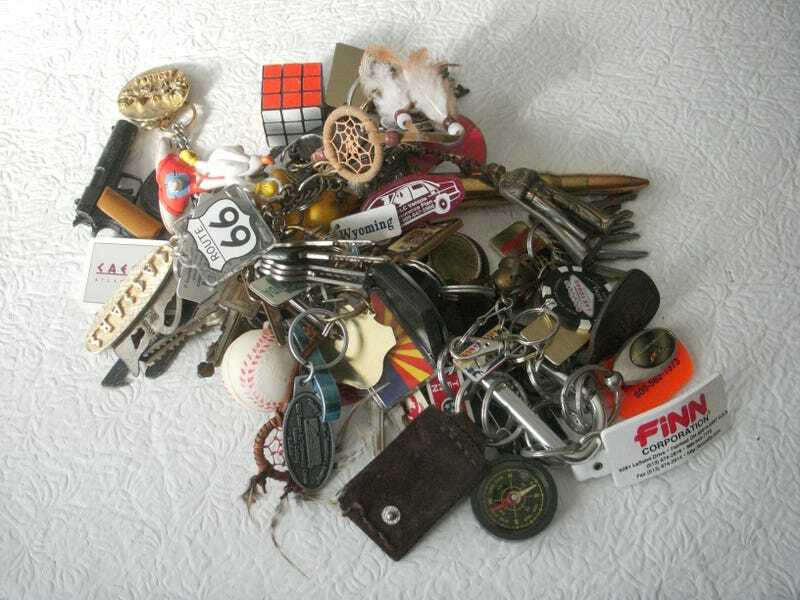 Over the years I collected various keys and key chains. I was a weird kid. The keys that started it all. There are Toyota, Volvo, and old GM and Ford keys on here among random house keys. .50 caliber bullet I received as a gift from a friend. A brass diving helmet I got from Mystic Seaport as a kid. The Manticore. I have no idea where this came from and I don't even remember owning it. And GRIMMMMMMMMY! I think my Aunt got me this. I haven't really added to this in the past 10-15 years. Mostly because it barely fits in the old lunch box I keep it in. Which happens to be one of the coolest lunchboxes ever.